Homeschool: How To Get Started :: Which Method? If you've spent any time at all researching homeschooling you have probably come across some strange words and heard the word method thrown around quite a bit. For someone just coming in to the homeschooling world this can be very overwhelming. You mean it's not enough to just say I'm going to homeschool? I have to now pick a specific way to do it? I'm going to break these methods down in the simplest form I can and then let others take over and talk to you about them. Later on, in a separate post, I'll tell you which one I use. I don't want to color your opinion now. I know, I know... everyone wants to be just like me, so I don't want to set the bar too high. Har har har. Today's post will be a bit different than the last two. I am going to give you a brief overview of each method and then some great resources I've found and used for each one. You'll want to take your time checking them each out. I do recommend you look at each method before you make your choice! Don't feel locked in after you've picked one though; most homeschoolers seem to evolve over time. I know I have. I'll share more on that in a later post. Charlotte Mason was a late 19th century British educator who was passionate about children's education. The Charlotte Mason method is known for its short lessons, the use of living books, narration, dictation, art, music and nature study, as well as developing your child's character. The Charlotte Mason Way Explained -- A very thorough and easy-to-read book! Fabulous resource! Highly recommended. Simply Charlotte Mason -- a great website for support, guidance, and resources. Most like public school. You have your subjects divided up. Most use workbooks and traditional textbooks and tests. There are several online resources for education. It's easy for newbies to want to mirror what they may have grown up with or are comfortable with. It's not a bad thing at all. A lot may start out this way and then merge into something else as they become more comfortable with homeschooling. Confessions of a Homeschooler -- a fabulous blogger that I feel is mainly traditional in method. I use a lot of her things for my kids even though this is not my main method. She has great resources and helps for anyone, even if you don't use the traditional method! Worth a look at! We're not talking curriculum today, but here are some samplings of traditional curriculum providers. Abeka -- Christian based curriculum and textbooks. K-12 Online -- online public school (technically homeschool because it's done at home). I've heard mixed reviews on K-12. Classical education is based on the trivium -- three phases of learning. Classical works, latin, and history (taught in chronological order) are some of its predominant characteristics. There is soooo much to Classical education that I truly couldn't get it all down in just a few sentences. Check out these many resources. The Well-Trained Mind: A Guide to Classical Education at Home (Third Edition) -- an amazing book that covers all years of schooling. A fabulous resource for any homeschooler, even if you don't use the Classical method. Highly highly recommend. The Well-Trained Mind Blog -- An accompaniment to the book. I can't say enough kind words about Susan and Jessie, the authors of TWTM. They go out of their way to help you understand and answer any questions and offer advice and support to you. Classical Education for the Average Homeschool Family -- Great overview of classical education. Quick and easy to understand. 10 Reasons I Chose Classical -- blog post from one mother on her reasons for her method choice. Trivium Pursuit -- another website! Teaching the Trivium: Christian Homeschooling in a Classical Style - a book to check out! The Core: Teaching Your Child the Foundations of Classical Education -- a wonderful book! Trivium Mastery: The Intersection of Three Roads: How to Give Your Child an Authentic Classical Home Education -- another great book. Classical Conversations -- a Christian academic program. I've heard lots of great things about them. Classical Conversations: An Overview -- This is a great overview of what exactly is CC. I'd read this first, then go check out their website (the one right above this one). Classical Scholar -- a website with resources. Homeschooling With a Classic Twist -- a blog dedicated to classical education. Living and Learning at Home -- another blogger that uses classical education. 10 Days of Classical Education -- a 10 post series based on this method, she has lots of guest posters contributing. Has 7 keys of learning, which are: classics, mentors, inspire, structure, simplicity, quality, and you, not them. This method is to help your children become leaders and independent thinkers. TJED (as it's abbreviated) is becoming increasingly popular. It also has 3 cores of learning (similar to Classical's trivium). *Rachel DeMille (eek!) visited this post and gave me this wonderful advice! She said taken out of order the Home Companion can be confusing. It's still a great resource, just make sure you read it in order for maximum understanding! I'm so grateful Rachel visited and shared this invaluable help! Dumbing Us Down: The Hidden Curriculum of Compulsory Schooling, 10th Anniversary Edition -- and yet another great book. 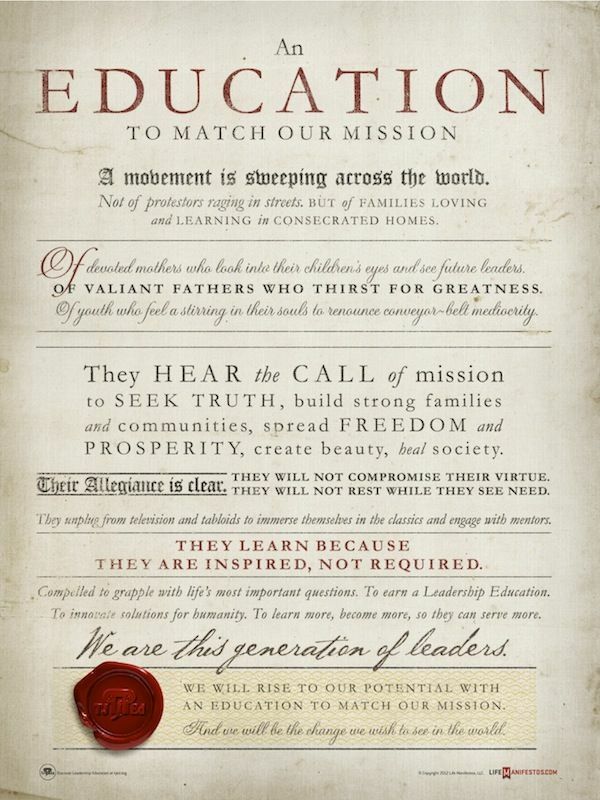 A Thomas Jefferson Education -- the website with lots of great resources and helps! TJED - Mothers -- a blog dedicated to tjed and mothers (duh), great resources for both aspects. 10 Days of Growing Leaders -- a wonderful 10 post series for TJED/Leadership education. With unschooling you allow kids to discover, explore and learn what they are passionate about without it being like a traditional schooling experience. This method began with John Holt, a public school teacher that was fed up with the system and wanted more for his students and children. How Children Learn (Classics in Child Development) -- A must read! The Unschooling Handbook : How to Use the Whole World As Your Child's Classroom -- another great resource for how it actually works. Sandra Dodd's Big Book of Unschooling -- a great resource, written by a homeschool mother that is an unschooler! John Holt GWS -- John's website. Has links to articles and more. What is Unschooling? -- A blog post to explain it briefly. 10 Things to Keep in Mind About Unschooling -- a simple, yet lovely blog post. Unschooling: How We Learn Subject by Subject -- this is a great resource for you to get an idea of what unschooling looks like. Plus, this is a fabulous fabulous blog dedicated to unschooling! Worth a look! Click on the picture to take you to the post on Winging It about unschooling. Takes one main idea and builds a study unit around this covering all disciplines. For instance, you want to learn about frontiersmen, you would study them with books, write a report, or give an oral report. You could learn about tracking animals, using a compass, make maps and track their journeys, go on a wilderness hike and document animals and plants you see. Then go learn about those animals and plants. Cook and bake foods that frontiersmen frequently ate, etc, etc. Now, you don't have to always make your own. There are some that are done for you already! Unit Studies by Amanda Bennett. -- Fun unit studies! Great to use even if you aren't mainly a unit study family. From now until 4/13 there is a sale going on for many unit studies! KONOS -- Wonderful curriculum! Great for teaching the multiple children. Homeschool in the Woods -- Great great unit studies based around history and time periods. The Ultimate List of Unit Study Resources -- talks a bit about what they are and how to do them, then has an alphabetical listing of all sorts of free unit studies for you to use that she's curated from around the web. Easiest one to explain! This is just as its name implies. You take a bit from each method you like and incorporate it the best way for you and your family. There really aren't resources on this as you just pick your methods and combine them as you see fit. Done and done! Ha! Whew! I'm exhausted. How about you? Remember: DO NOT read these all today! Check out the quick explanations for each and then a resource for each one and then pursue the ones that peak your interest the most. Take your time to go through them and write down things that stand out to you and any questions you may have so you can research that further. If you have questions, please post them down in the comments and I'll do my best to get you the answer! Also, let me know if any of the links gives you trouble and I'll fix them. How do you pick? Is that what you're going to ask me? Well... I'll break that down as quickly and as simply as possible. STEP 2 -- Take notes as you read. What do you like about each? What don't you like about each? What questions do you have? STEP 3 -- Take some time to think about it. STEP 4 -- Research the answers to questions you have. Look for blogs and other parents that use the method(s) you're interested in. STEP 5 -- Go with your gut. Oh, and use those goals and reasons to help guide you to what is most important to you and your children. STEP 6 -- Keep in mind that you don't have to stick with it beyond today, next month, next year, or in several years. We change as people and so will our mindset, our values, our interests, and your children. You may like a certain method, but your child really is struggling with it. Can you tweak it? Or is there something else you know they'll get more out of? Don't be afraid to change. STEP 7 -- Rinse and repeat as needed. Maybe eat a treat or 10.